Click past the jump for all the NASCAR news and notes for the upcoming race weekend at Texas, including the Monster Energy Cup Series, the Xfinity Series, and the Gander Outdoors Truck Series…..
Only six races into the 2019 Monster Energy NASCAR Cup Series season and Brad Keselowski became the second multi-time winner last weekend, posting the most dominating performance of the year. He led 446 of 500 laps to claim the win at Martinsville Speedway. It’s his fourth top-three finish already as he also won at Atlanta Motor Speedway, has a runner-up finish at Las Vegas and a third-place finish at California. His win Sunday marked the third for Team Penske (Joey Logano won at Las Vegas) – tying the effort by Joe Gibbs Racing, whose drivers have won three races as well (Denny Hamlin won the Daytona 500 and Kyle Busch won at Phoenix and California). The two teams are the only winners of the season to date. Keselowski would certainly like to keep the pace in Sunday’s O’Reilly Auto Parts 500 at Texas Motor Speedway at 3 p.m. ET on FOX, PRN, SiriusXM NASCAR Radio. He’s never won there before but has a pair of runner-up finishes, including in 2012 – the year he won the series championship. He won the Busch Pole position and led a race record 312 of the 334 laps only to finish runner-up to Jimmie Johnson in 2015. He’s had two top-10 finishes in the last four races at Texas but finished 33rd in this race last year after being collected in an incident on Lap 178. He was then 12th in the Playoff race after leading 50 laps. He has eight top-10 showings in 21 starts at Texas – five of them are top-five efforts. Defending race winner Kyle Busch may have felt a bit out of sorts with a third-place finish at Martinsville Speedway on Sunday – after back-to-back wins (including a milestone 200th NASCAR national series victory) in the preceding two weeks. It’s been a tremendous season start for Busch and statistically, there’s no reason to indicate he’ll be slowing down this week at Texas Motor Speedway. Busch is firmly atop the points standings – 21 points over Joe Gibbs Racing teammate Denny Hamlin – and has five top-three finishes in the opening six races. He hasn’t finished worse than sixth this season and he’s completed every lap of 2019 competition. Plus, he has led 361 of them. AND. … he’s the last driver to celebrate a spring win at Texas Motor Speedway’s Victory Lane. He has three career victories at the 1.5-mile track – all of them coming in the spring visit. The driver of the No. 18 Joe Gibbs Racing Toyota Camry earned his first win – from the pole position – in 2013 and answered with another in 2016 before last year’s trophy. Only Jimmie Johnson (15) has more top-10s than Busch (12) at the track. And as you would expect with the all-time winningest Xfinity and Gander Outdoors Truck Series driver – he has victories in those series on the Fort Worth high banks too. He has won eight total Xfinity Series races at Texas, including five straight from 2008-2010, and he has three Gander Outdoors Truck Series victories there too. Erik Jones, 22, is typically soft-spoken out of the race car, but he’s delivered some big moments at Texas Motor Speedway and likely has this week’s venue circled on his race calendar. He scored back-to-back top-five finishes last year on the Fort Worth track – fourth in both races – and has finishes among the top-10 in three of his four previous Cup starts. The driver of the No. 20 Joe Gibbs Racing Toyota has four previous wins at the track – three in the NASCAR Xfinity Series and one in the NASCAR Gander Outdoor Truck Series. He won the 2017 Xfinity fall race from the pole position. After an impressive start to the 2019 season, Jones undoubtedly welcomes the opportunity to race in Texas. He had top-10 finishes in the first two races, including a career-best third place in the Daytona 500. A rough outing at Martinsville last weekend – a 30th-place finish – dropped him to 14th in the points standings heading into Sunday’s Texas race. But this is one place where Jones is highly optimistic whenever he grids to race. “Texas is one of my favorite tracks and one of the tracks that I’ve run well at in Trucks, Xfinity and the Cup Series,’’ Jones said. “We’ve had a few bad weeks [lately], but we’ve had speed and good cars, just some bad luck along the way. This weekend should be a good race to turn things around and get our season back on track. Aric Almirola may not have won last week’s race at Martinsville Speedway, but the Tampa, Florida, driver surely must feel like he’s winning on the season. He has five consecutive top-10 finishes in the No. 10 Stewart-Haas Racing Ford since being collected in a multi-car wreck in the season-opening Daytona 500. His best finish is fourth at Phoenix’s ISM Raceway and he won the Busch Pole position at Atlanta Motor Speedway. He’s led a total of 69 laps in three races. Before joining Stewart-Haas Racing last year, his previous best season total laps led was 78 (2012). Similarly, his five top-10s through March is already only one less than his best career season total (six) before he joined SHR. His track record at this week’s venue, Texas Motor Speedway includes two top-10 finishes – seventh in 2013 and eighth in the Playoff race last November. He’s never led a Monster Energy Series race lap at the track, but does also have a pair of Gander Trucks top-10s there as well. “I’ve led more laps in the beginning of this year than I’ve led in any year in my career,’’ Almirola said. “I’m off to the best start of my career, yet we feel like our cars are not where they were last year, and that’s one of the things that has me the most pumped up about this season. Kevin Harvick showed up in Fort Worth last year having hoisted three race trophies already. This year the 2014 Monster Energy NASCAR Cup Series champion is still looking for his first. And Texas Motor Speedway provides plenty of potential based on Harvick’s recent work there. He has top-10 finishes in the last nine races at the track, including a pair of wins and three runner-up showings. In the last four races, specifically, he has two wins (Fall 2017 and 2018), a runner-up finish (Spring 2018) and a pole position (Spring 2017) and has led a series-best 379 laps in that time frame. Harvick comes to the track ranked third in the points and with five top-10 finishes in the opening six races. The driver of the No. 4 Stewart-Haas Racing Ford Mustang has three fourth-place finishes (at Atlanta, Las Vegas and California) – his best showings on the season. Chase Elliott is coming off his best showing of the season – a runner-up effort to a dominant Brad Keselowski at Martinsville Speedway last weekend. It’s the first top-five for his four-car Hendrick Motorsports team since Elliott won at Kansas late last season. That result and Elliott’s impressive resume at Texas Motor Speedway surely give the driver of the No. 9 Hendrick Motorsports Chevrolet Camaro ZL1 reason to be optimistic this weekend. Elliott’s 7.2 average finish on the Fort Worth high banks is best in the series. He also holds the high mark statistically for top Average Running Position (9.6). He has the fourth-best driver rating (95.6) – behind a trio of former Cup champions, Jimmie Johnson (102.9), Kyle Busch (101.3) and Kevin Harvick (96.3). Elliott has five top-10 finishes in six Texas starts. His worst finish is 11th. And the track holds a lot of sentimental motivation – it’s where a then-18-year old high school senior Elliott scored his first NASCAR national series win in the 2014 NASCAR Xfinity Series race. As so frequently happens on the schedule, seven-time Monster Energy NASCAR Cup Series champion and 83-race winner Jimmie Johnson arrives at Texas Motor Speedway with a top-line resume, and perhaps increased motivation to visit a Victory Lane he knows well. The driver of the No. 48 Hendrick Motorsports Chevrolet Camaro ZL1 has earned an all-time best seven wins on the Texas track and an all-time best five runner-up finishes. He’s either finished first or second 12 times – more than a third of his 31 career starts at the track. His three-sweep from 2014-15 marks the only time a driver has won three-straight at the track. He won four of five races from 2013-15. His 1,052 laps led is an all-time high mark. Five races he led 100 or more laps – most of anyone in Sunday’s field. Johnson’s last win was the 2017 spring race., and then last season he finished 35th in the spring after crashing and 15th in the Playoff race. He shows up at Fort Worth ranked 15th in the driver championship standings after a tough 24th-place finish at Martinsville last weekend. His two top 10s on the year came in the Daytona 500 and then at Phoenix three weeks ago. Perhaps not too surprisingly, considering Ryan Preece’s penchant for short track racing, the former NASCAR Whelen Modified Tour champion scored a 16th-place effort at the half-mile Martinsville Speedway – his best finish since an eighth place in the Daytona 500 season opener. It’s the second top-20 of the season for the 28-year old Connecticut native, who maintains a lead in the Sunoco Rookie of the Year standings. The JTG Daugherty Racing driver is ranked 25th in overall points, Richard Childress Racing rookie Daniel Hemric (who finished 27th at Martinsville) is ranked 28th. Matt Tifft (31st) and Cody Ware (33rd) round out the rookie foursome. It’s the fourth time in six races that Preece has been the top-finishing rookie. It will be the series debut for all four drivers at Texas, but Preece, Hemric and Tifft, specifically, have had promising runs in the NASCAR Xfinity Series at the track. Preece finished ninth in the Xfinity spring race at Texas. Hemric’s best finish is third in that race and he has a combined five top-10s at the track in the Xfinity and Truck series. Tifft, who drives for Front Row Motorsports, finished top-10 in six of his seven Xfinity starts at Texas with a best showing of sixth last spring. Six drivers from the Monster Energy NASCAR Cup Series – Richard Childress Racing’s Daniel Hemric, Front Row Motorsports’ David Ragan, Joe Gibbs Racing’s Denny Hamlin, Stewart-Haas Racing’s Daniel Suarez, Roush Fenway Racing’s Ricky Stenhouse Jr. and StarCom Racing’s Landon Cassill – will be participating in this week’s media rotations at Texas Motor Speedway in advance of Sunday’s O’Reilly Auto Parts 500 (3:30 p.m. ET on FOX, PRN and SiriusXM NASCAR Radio). Daniel Hemric, 28, of Kannapolis, North Carolina, is a rookie in the Monster Energy NASCAR Cup Series driving the No. 8 Chevrolet Camaro ZL1 for Richard Childress Racing. Hemric is coming off a 27th-place finish at the Martinsville Speedway half-miler, but has a pair of top-20 showings this year at Atlanta (20th) and Phoenix (18th). He’s had good past success at Texas Motor Speedway with a career-best third-place finish in last year’s springtime NASCAR Xfinity Series race and a best of third place in the 2016 NASCAR Gander Outdoors Truck Series race there. David Ragan, 33, of Unadilla, Georgia, drives the No. 38 Ford Mustang for Front Row Motorsports. He is a two-time Monster Energy NASCAR Cup Series winner (at Talladega in 2011 and Daytona in 2013) and is currently ranked 26th in the standings with a season-best showing of 26th-place at Atlanta last month. He has two top-10 finishes in 24 starts at Texas – both coming in 2011 when he was driving for Roush-Fenway Racing. He finished eighth in the spring race, won the pole position for the fall race and answered with a career best seventh-place finish. Last year he scored finishes of 23rd and 24th at Fort Worth. Daniel Suarez, 27, of Monterrey, Mexico, is having the best start to a season in his three-year Monster Energy Series career. He scored top-10 finishes at Atlanta and last week at Martinsville and is ranked 15th in the Monster Energy NASCAR Cup Series driver points standings – his highest showing after the season’s opening six races. It matches a career-high in the rankings – he was also 15th for one week in his 2017 rookie season. In four series starts at Texas, his best finish (14th ) came in his first start. He has four top-10s, however, during time in the NASCAR Xfinity Series and NASCAR Gander Outdoors Truck Series – including a best of runner-up in the 2015 Truck race at Texas. 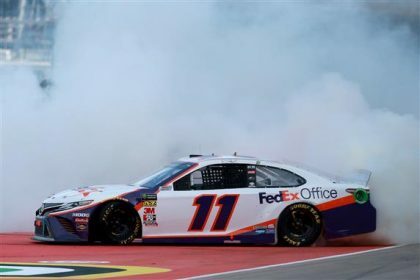 Denny Hamlin, 28, of Chesterfield, Va., scored his second Daytona 500 victory in the 2019 season-opener. He’s had five top-10s in the season’s first six races – his one finish outside the top-10 was 11th. He reclaimed second place in the Monster Energy NASCAR Cup Series standings (21 points behind Joe Gibbs Racing teammate Kyle Busch) after a fifth-place finish at Martinsville last Sunday. Hamlin has two wins at Texas Motor Speedway – sweeping both races in 2010. He has 12 top-10 finishes in 26 starts at the track. His third-place finish in the 2017 spring race is the only top-20 in the last four starts there, however. Ricky Stenhouse Jr., 31, of Olive Branch, Mississippi, may well consider Texas Motor Speedway his “home” track. His success there certainly bodes well, and he shows up in Fort Worth in the midst of his best ever season start. He’s ranked 12th after the opening six races and has four top-15 finishes, including a season best of sixth place on the Las Vegas 1.5-miler. He’s won at Texas before, claiming the 2012 Xfinity race there en route to that season championship. The driver of the No. 17 Roush-Fenway Racing Ford Mustang scored his best series finish (11th) in 12 starts at Texas last Fall. Landon Cassill, 29, of Cedar Rapids, Iowa, scored his best finish of the 2019 season (24th) at the season-opening Daytona 500. The driver of the No. 00 StarCom Racing Chevrolet Camaro ZL1 is still looking for his first top-10 showing at Texas Motor Speedway. His best finish, however, is 21st and came with his first start at the track with his StarCom team in 2017. After a one-week hiatus, the NASCAR Xfinity Series returns to action this weekend at Texas Motor Speedway in Fort Worth, Texas, for the My Bariatric Solution 300 on Saturday, March 30 at 1 p.m. ET on FS1, PRN and SiriusXM NASCAR Radio. Not only will Xfinity drivers be racing for the usual accolades – checkered flags, trophies and points – but this weekend also marks the first qualifying race for the Dash 4 Cash program in 2019. Following the qualifier at Texas, the 2019 Dash 4 Cash series will open April 6 at Bristol Motor Speedway, then will continue with stops April 12 at Richmond Raceway and April 27 at Talladega Superspeedway before ending May 4 at Dover International Speedway. Ø The top four NASCAR Xfinity Series championship contending drivers at Texas Motor Speedway will qualify for the first Dash 4 Cash event at Bristol Motor Speedway. Ø Of the four NASCAR Xfinity Series drivers competing for Dash 4 Cash, the highest finisher wins the $100,000 prize, and automatically moves on to defend the title at the next event. Ø The next three highest-finishing NASCAR Xfinity Series championship contending drivers, for four total competitors, will join the Dash 4 Cash winner to compete for the next week’s event. Ø Each of the four races this season will provide an opportunity for the qualifying Dash 4 Cash contenders to win a $100,000 bonus. “We had worked with our tracks and our teams and drivers on this as well and we just found that it (Dash 4 Cash) worked well for all of our partners and the fans,” said John Bobo, NASCAR vice president of racing operations. Bristol and Dover will mark their fifth straight year as participating tracks for Dash 4 Cash events. Richmond will also become a five-time host; previous Dash 4 Cash events at the Virginia short track have occurred nonconsecutively (2011, 2016-18). Talladega made its Dash 4 Cash debut in 2018. Ryan Preece (Bristol), Elliott Sadler (Richmond, Talladega) and Justin Allgaier (Dover) collected Dash 4 Cash bonuses in 2018. Last season, Team Penske’s Ryan Blaney won the Xfinity Series spring race at Texas Motor Speedway and series championship contenders Christopher Bell, Daniel Hemric, Cole Custer and Ryan Preece were the four to qualify for the first Dash 4 Cash event. 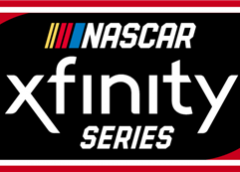 Of Note: Comcast, the parent company of the entitlement sponsor of the NASCAR Xfinity Series, will also be stepping up to bring a charitable component to this year’s Dash 4 Cash program, partnering with Veteran Services Organizations in each Dash 4 Cash community to build an Internet Essentials Digital Rally Point for the local veteran community in their area. Comcast’s Internet Essentials is the nation’s largest program for getting low-income households online, having connected 4 million low-income Americans since 2011. The $40,000 total donation from Comcast will help promote Internet and technology adoption among low-income Americans. Texas Motor Speedway has hosted 36 NASCAR Xfinity Series races. The first Xfinity Series race held at Texas Motor Speedway was on April 5, 1997, and the event was won by Mark Martin driving a Roush Fenway Racing Ford. In total, 336 different NASCAR Xfinity Series drivers have made starts at Texas Motor Speedway, 231 drivers have competed in more than one. Elliott Sadler leads the series in starts at Texas Motor Speedway with 22 starts. In total, the NASCAR Xfinity Series has seen 23 different drivers win the pole award at Texas Motor Speedway; led by Kyle Busch with four poles (2004, 2009, 2012, 2016). Jeff Green won the series’ first pole at Texas Motor Speedway in 1997 and Christopher Bell won the most recent Xfinity pole at Texas Motor Speedway last November. The youngest Xfinity pole winner at Texas Motor Speedway is Erik Jones (April 10, 2015, at 18 years, 9 months and 11 days). Mark Martin is the oldest series pole winner at Texas Motor Speedway (November 4, 2006 at 47 years, 9 months, 26 days). Jeff Green holds the NASCAR Xfinity Series qualifying record at Texas Motor Speedway with a speed of 193.493 mph (April 6, 2002). 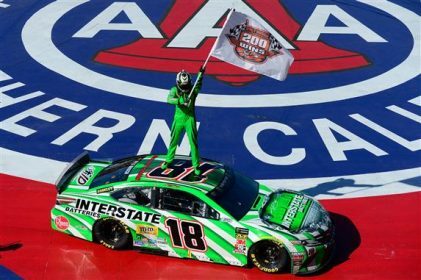 In total the NASCAR Xfinity Series has seen 18 different drivers win the race at Texas Motor Speedway; led by Kyle Busch with eight victories (2008 sweep, 2009 sweep, 2010, 2013, 2014, 2016). Mark Martin won the series’ first race at Texas Motor Speedway in 1997 and Cole Custer won the most recent Xfinity race at Texas Motor Speedway last season. The youngest Xfinity race winner at Texas Motor Speedway is Chase Elliott (April 4, 2014 at 18 years, 4 months, 7 days). The oldest series winner at Texas Motor Speedway is Jeff Purvis (April 6, 2002 at 43 years, 1 month, 18 days). Kyle Busch holds the race record in the series at Texas Motor Speedway with an average speed of 151.707 mph (April 5, 2008). Five races in the books this seasons and it’s the youngsters of the NASCAR Xfinity Series who have come out of the gate fast and strong this season; as every driver currently in the top five in the series’ championship standings is under the age of 25 and the group has a combined average age of just 22 years old. Heading into Texas this weekend all five drivers are only separated by 41 points, proving the competition amongst these rising stars has been tight thus far. Richard Childress Racing’s Tyler Reddick holds the series standings lead by a mere seven points over second-place Cole Custer. Reddick’s early success is due to his consistent finishes. Through five races he has three top fives and four top 10s. Cole Custer is coming off his first win of the season two weeks ago at Auto Club Speedway, locking himself into this season’s Playoffs. Custer’s recent success has him pinned as one of the favorites this weekend, as the Californian won at the 1.5-mile track last fall. Through five races this season, Custer has accumulated one win, three top fives and four top 10s. Just 14-points behind Custer in third place in the championship standings following Auto Club Speedway is Joe Gibbs Racing’s Christopher Bell. Bell grabbed his first victory of this season back at Atlanta Motor Speedway. Now through five races he has one win, two top fives and three top 10s. Bell’s Joe Gibbs Racing teammate, Brandon Jones, currently sits fourth in NASCAR Xfinity Series driver championship standings following Auto Club Speedway; 23 points back from third. Through five races this season Jones has posted two top fives and four top 10s. 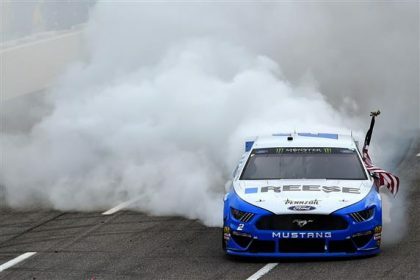 Team Penske’s Austin Cindric rounds out the top five in the NASCAR Xfinity Series championship standings; just four points back from fourth place Brandon Jones and 41 points back from the series standings lead. Cindric has amassed two top fives and four top 10s this season. What’s even more impressive is all five young drivers in the top five in the series driver standings have an average finish inside the top-10 this season (chart to the right). And drivers Christopher Bell (Atlanta) and Cole Custer (Auto Club) already have scored wins this season. Heading into this weekend Texas, Cole Custer leads the youthful brigade in success at Texas after grabbing the checkered flag in the Playoff race last November. But the rest of the group has recently taken to the track as well. Bell finished runner-up in this event last season, and Reddick finished runner-up in the Playoff race last season. Jones (sixth) posted his series career-best finish at Texas last Fall as well. Cindric has an average finish of 6.0 in two start at Texas, so expect all five to be in the mix for the win this weekend as well. The 2018 NASCAR Xfinity Series champion and current 2019 series driver standings leader, Tyler Reddick, has the opportunity this season to become the ninth driver all-time and the first since Ricky Stenhouse Jr. (2011, 2012) to win multiple series titles; joining Sam Ard (1983, 1984), Jack Ingram (1982, 1985), Larry Pearson (1986, 1987), Randy La Joie (1996, 1997), Dale Earnhardt Jr. (1998, 1999), Martin Truex Jr. (2004, 2005), Kevin Harvick (2001, 2006) and Ricky Stenhouse Jr. (2001, 2012). Reddick holds the series standings lead by seven points over second-place Cole Custer following Auto Club Speedway. Holding on to the series standings lead and winning the regular season guarantees Reddick a spot in the Playoffs, plus 15 Playoff points to take into the postseason. Reddick has made three starts at Texas Motor Speedway in the Xfinity Series, posting a career-best finish of runner-up in the Playoff race last season on way to his first career title. When it comes to consecutive wins at Texas Motor Speedway in the NASCAR Xfinity Series nobody does it better than Kyle Busch with the five consecutive wins he captured from 2008-2010. Actually, only four drivers have ever pulled off the feat of back-to-back wins at Texas, and this weekend Stewart-Haas Racing’s Cole Custer is looking become the fifth. And nobody in the NASCAR Xfinity Series is riding a bigger wave of momentum than Cole Custer right now. The 21-year old from Ladera Ranch, California is returning to Texas Motor Speedway, the site of his first Xfinity Series Playoff win (last November), after just bringing home his first win of this season two weeks ago at Auto Club Speedway. Custer comes to Texas poised to make it two in a row as the 1.5-miler is one his best tracks. In four starts at Texas, Custer has scratched off a win (2018), four top fives and an average finish of 3.750 (series-best). If Custer wins at Texas on Saturday, he will join Mark Martin (1999, 2000), Kyle Busch (2008 sweep, 2009 sweep, 2010 spring), Carl Edwards (2010 fall, 2011 spring) and Erik Jones (2017 sweep) as the only drivers to win consecutive races at Texas in the series. Kicking off the season in impressive fashion with Joe Gibbs Racing, Jeffrey Earnhardt has been able to parlay that into another partnership with the newly formed XCI Racing as the two will compete together this weekend for the first time in the NASCAR Xfinity Series at Texas Motor Speedway. Xtreme Concepts Inc., a worldwide leader in turnkey security solutions, is augmenting its existing sponsorship of Joe Gibbs Racing by forming an alliance with the team that will see XCI Racing field its own racecars in two Monster Energy NASCAR Cup Series races and five NASCAR Xfinity Series races in 2019. Earnhardt will pilot the No. 81 XCI Racing Toyota Camry with crew chief Mathew Lucas this weekend at Texas Motor Speedway for the organization’s NASCAR national series debut, which will serve as a precursor to XCI Racing’s Monster Energy NASCAR Cup Series debut when it unloads for the April 28 race at Talladega Superspeedway. The next four races XCI Racing has planned in the Xfinity Series are the June 29 race at Chicagoland Speedway, July 5 at Daytona International Speedway, Aug. 16 at Bristol Motor Speedway and Aug. 31 at Darlington Raceway. XCI Racing will finish its maiden season Oct. 13 in the Monster Energy Series race at Talladega. The best news about the partnership is Jeffrey Earnhardt fans will have more chances to see the rising talent’s skills on display. Earnhardt now has five additional Xfinity races with XCI Racing on top of his previously announced nine with Joe Gibbs Racing. “Jeffrey Earnhardt has been an excellent representative for Xtreme Concepts and iK9, and through this endeavor with Joe Gibbs Racing, we plan to grow together,” said Ash. The Mooresville, North Carolina, native’s career is trending in the right direction. In two starts this season, Earnhardt has posted one top 10 and an average finish of 10.5. He has three series career starts at Texas with a career-best finish of 19th in 2014. Richard Childress Racing will roll out the No. 21 Chevrolet Camaro this weekend at Texas Motor Speedway for the NASCAR Xfinity Series season debut of Kaz Grala. Grala made the jump from the NASCAR Gander Outdoors Truck Series to the NASCAR Xfinity Series last season on a part-time basis, running 10 races for JGL Racing and then 12 more for FURY Race Cars. During those 22 starts he posted two top fives and five top 10s. Grala will be paired with Richard Childress Racing’s veteran crew chief Justin Alexander this weekend. The 20-year-old from Boston, Massachusetts made his series track debut at Texas Motor Speedway last season driving for JGL Racing – he started 37th and drove up to a 26th-place finish. The two hottest drivers in the Monster Energy NASCAR Cup Series, Team Penske’s Brad Keselowski and Joe Gibbs Racing’s Kyle Busch, will be pulling double duty this weekend, competing in both the NASCAR Xfinity Series race on Saturday, March 29 and the Monster Energy Series race on Sunday, March 30. Kyle Busch will strap into the No. 18 Joe Gibbs Racing Toyota Camry with crew chief Ben Beshore this weekend at Texas. The duo has been virtually unstoppable this season, in three Xfinity starts they have two wins, three top fives and an average finish of 1.3. Busch is also the series leader in wins at Texas with eight victories; including five straight from 2008-2010. In 20 total series starts at Texas he has accrued eight wins, 15 top fives, 16 top 10s and an average finish of 7.0. Team Penske’s Brad Keselowski will be guiding the No. 12 Ford Mustang this weekend at Texas with crew chief Matt Swiderski calling the shots from the pit box. Keselowski’s series season-debut at Daytona in the season-opener ended early with a roof hatch issue (37th-place finish); so, one can expect, he is probably itching to get a solid performance on the board. Keselowski has made 18 series starts at the famous Texan 1.5-mile facility posting two wins (2013, 2015), 12 top fives, 14 top 10s and an average finish of 9.3. 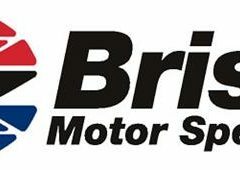 Four drivers from the NASCAR Xfinity Series – JR Motorsport’s Noah Gragson, Stewart-Haas Racing’s Cole Custer, Richard Childress Racing’s Kaz Grala and Joe Gibbs Racing’s Brandon Jones – will be participating in this week’s media rotations at Texas Motor Speedway leading into this Saturday’s My Bariatric Solution 300 at 1 p.m. ET on FS1, PRN and SiriusXM NASCAR Radio. Made NASCAR Xfinity Series debut with Joe Gibbs Racing in 2018 at Richmond Raceway; starting 11th and finishing runner-up. In total he made three Xfinity Series starts last season, posting two top fives and three top 10s; all while competing fulltime in the NASCAR Gander Outdoors Truck Series where he finished runner-up in the championship standings. In five starts this season, has posted one top five, two top 10s and an average finish of 9.2. Current leader of the 2019 NASCAR Xfinity Series Sunoco Rookie of the Year standings by 11 points over second-place John Hunter Nemechek. Will be making his series track debut at Texas Motor Speedway this weekend. Has finished in the top-10 on the first two 1.5-mile tracks the series visited in 2019 – Atlanta (ninth) and Las Vegas (third). Made the Playoffs and finished fifth in the NASCAR Xfinity Series championship standings in his rookie year (2017). Has three career NASCAR Xfinity Series wins (Homestead, Texas and Auto Club Speedway); including last season’s Playoff race at Texas Motor Speedway to win his way into the Championship 4. Currently second in the NASCAR Xfinity driver points standings, just seven points back from the series standings leader Tyler Reddick and seven points ahead of third place Christopher Bell. In five starts this season, he has posted one win (Auto Club), three top fives, four top 10s and an average finish of 6.0 (series-best). Has led the fourth-most laps (80) this season. Has made four series starts at Texas Motor Speedway, posting one win (2018 Playoff race), four top fives and an average finish of 3.8 (series-best). Will be making his NASCAR Xfinity Series season debut this weekend at Texas Motor Speedway for Richard Childress Racing. Made his series track debut at Texas Motor Speedway last season driving for JGL Racing – he started 37th and drove up to a 26th-place finish. In 2018, he tallied a career-best finish of second at Talladega and reached the NASCAR Xfinity Series Playoffs for the second time, finishing a career-best ninth in the standings. In 2017, he captured his first career NASCAR Xfinity Series pole (Daytona-1). In 2016, he made the inaugural NASCAR Xfinity Series Playoffs in his rookie season; ultimately finishing a then career-best 10th in the standings. Currently fourth in the NASCAR Xfinity driver championship standings, 37 points back from the series standings leader Tyler Reddick and four points ahead of fifth place Austin Cindric. In five starts this season, he has two top fives, four top 10s and an average finish of 9.8 (career-best). Has made six series starts at Texas Motor Speedway, posting two top 10s and an average finish of 19.5. Finished sixth in the Playoff race at Texas last November. 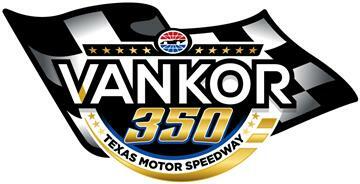 This weekend’s March 30th race date marks the earliest the NASCAR Gander Outdoors Truck Series has appeared at Texas Motor Speedway since the series started coming to the track in 1997. Historically, the first Fort Worth race of the season was always the early June race. But this year, NASCAR switched things up a bit and moved the fall date to the spring, creating an early season national series triple-header in the Lone Star State. The Gander Trucks will return on the traditional June date, as well. For those keeping track at home, the previous fall race results will define the previous race winner – and in this case, that winner would be Justin Haley, who is not entered in the Gander Trucks race this weekend. However, the winner of the two races prior to that, and the winner of five overall at Texas, is returning – Johnny Sauter. There’s a career milestone in the NASCAR Gander Outdoors Truck Series that Kyle Busch hasn’t hit, yet. And that’s win four series races in a row. He has a shot to do that Friday night in the Vankor 350 at 9 p.m. ET on FS1, MRN and SiriusXM NASCAR Radio. Only one driver in Gander Trucks history has won four or more races in a row – and that was NASCAR Hall of Famer Ron Hornaday Jr. in 2009 (Milwaukee, Memphis, Kentucky, IRP, Nashville). Including Busch’s current streak and Hornaday’s streak of five victories, seven different drivers – for a total of 11 times – in series history have won three in a row. Busch will have to shake off the rust in Fort Worth if he’s to keep the streak alive. He hasn’t raced at the 1.5-mile track since the fall of 2014, but that outing netted him his third win at Texas. Overall, he has three wins (fall races in 2009, 2010, 2014) in 12 starts at the track, including eight top-five finishes. If there’s anyone excited about seeing Texas Motor Speedway move up to an earlier spot in the schedule this season, it’s Johnny Sauter. The Wisconsin native is the winningest active driver at the 1.5-mile circuit with five wins overall. It’s also his personal best track with more wins, top fives and top 10s than at any other facility. Sauter’s five wins at Texas (Summer 2012, Fall 2012, Fall 2016, Fall 2017, Summer 2018) better his mark of four at Martinsville. He also has 10 top-five and 16 top-10 finishes in his 21 races at Texas. Among active drivers, only Matt Crafton has more top fives (14) and top 10s (25) than Sauter. Of note, Sauter is back with the team (and truck number) he was with when he won his first two NASCAR Gander Outdoors Truck Series races at Texas – ThorSport Racing and the No. 13. One thing is different, however – he’s now in a Ford, whereas the team raced Toyotas back when he recorded those wins in 2012. He’ll be going after a unique hat trick at Texas – winning with three different OEM emblems on his truck, as he won three of his races in a GMS Racing Chevrolet. The only other driver to have won with different manufacturers at Texas was Dennis Setzer (Dodge in 1999 and Chevrolet in 2004). Of note, Sauter’s ThorSport Racing teammate Crafton in the No. 88 Ford could also join that club – his two previous wins at Texas (Summer 2014 and Summer 2015) came in a Toyota. After holding the spot atop the points since the Atlanta race in the second week, Grant Enfinger had to surrender his lead to Halmar Friesen Racing’s Stewart Friesen following Martinsville. This marks the first time Friesen has led the NASCAR Gander Outdoors Truck Series points standings – and he holds a narrow four-point lead over ThorSport Racing’s Enfinger. Friesen took over the lead in the standings on the strength of strong performances at Las Vegas (fourth) and Martinsville (fifth) – and gained a lot of ground by placing well at the conclusion of Stage 1 and Stage 2 in each of those races. Friesen twice finished second at the conclusion of a stage and was in the top 10 after each of the other stages at Las Vegas and Martinsville. Enfinger failed to earn a stage point in either race. And there’s good reason for Friesen to be optimistic heading into Texas. He finished second in the summer race last year and then eighth in the fall. He also started on pole in that June race last season. Overall, he has an average finish of 11.5 in four starts at Texas. But he can’t let up – Enfinger has a pretty solid history at Texas, himself. In four starts, he has an average finish of 6.5 – an average that was brought down by a 12th-place finish last fall. Prior to that, he had finishes of third, seventh and fourth. If there’s anyone familiar with playing under the pressure of “Friday night lights” in the Dallas metro area, it’s US Navy officer and driver of the No. 34 Reaume Brothers Racing Chevrolet, Lt. Jesse Iwuji. From nearby Carrollton, Texas, Iwuji played high school football at Hebron High School before going on to the US Naval Academy, where he also played football. This weekend will mark Iwuji’s career debut at his hometown track. The driver’s name won’t be the only one of his truck with Lone Star State ties as his sponsor, FUELTRAX, is based in Texas. The paint scheme will be designed by a 15-year-old from Dallas. The company also has a large percentage of their operations based out of Nigeria – where Iwuji’s family is from. And they will be at Texas Motor Speedway to support Iwuji, attending their first race ever this weekend. Friday’s race will be Iwuji’s second NASCAR Gander Outdoors Truck Series race of 2019 (he finished 26th at Las Vegas) and fourth overall. He has 39 starts in the NASCAR K&N Pro Series East and West as well as six ARCA Menards Series starts. Kyle Busch Motorsports driver Harrison Burton has taken a commanding lead in the Sunoco Rookie of the Year standings over GMS Racing’s Sheldon Creed. After four races, Burton holds a 31-point advantage. Burton slipped a bit in the overall points standings, sliding from second after Las Vegas to fifth following an 11th-place finish at Martinsville. He comes to Texas with one race under his belt at the track, a sixth-place effort last fall. Creed has one start at the track, also last fall, which netted him a 25th-place finish. The only other Sunoco Rookie contender entered this weekend who has experience at Texas is Tyler Dippel – who finished 14th last fall. Four drivers from the NASCAR Gander Outdoors Truck Series – DGR-Crosley driver Tyler Ankrum, Jordan Anderson from Jordan Anderson Racing, Halmar Friesen Racing driver Stewart Friesen, and Todd Gilliland from Kyle Busch Motorsports – will be participating in this week’s media rotations at Texas Motor Speedway. These four drivers are preparing for the Vankor 350 this Friday, March 29, at 9 p.m. ET on FS1, MRN and SiriusXM NASCAR Radio. Due to age restrictions, Ankrum missed the first three races of the NASCAR Gander Outdoors Truck Series season before turning 18 earlier this month. He plans to run the remainder of the season as a contender for Sunoco Rookie of the Year honors. Ankrum made his 2019 debut at Martinsville Speedway and finished 19th behind the wheel of the No. 17 Toyota Tundra for DGR-Crosley. He will make his first series start at Texas Motor Speedway this weekend. One of only a few owner/drivers in the NASCAR Gander Outdoors Truck Series. Posted his first two series career top-10 finishes in 2018; including a career-best finish of seventh at Talladega Superspeedway. Has finished in the top 20 in the NASCAR Gander Outdoors Truck Series driver championship standings over the last four seasons; including a career-best 15th last year. In four starts this season, he has one top-20 finish and an average finish of 22.8. He is currently 18th in the NASCAR Gander Outdoors Truck Series points standings; 94 points back from the series standings lead. In 2018, he competed in all 23 races, qualifying for the NASCAR Gander Outdoors Truck Series Playoffs for the first time; ultimately finished the season seventh in points. In 2017, he competed part-time (19 races), posting two top fives, five top 10s and a pole. Made his NASCAR Gander Outdoors Truck Series debut in 2016 at Eldora. Currently the NASCAR Gander Outdoors Truck Series driver championship standings leader by four points over second place Grant Enfinger. In four starts this season, he has amassed a pole, two top fives, three top 10s and an average finish of 9.2. Friesen started on the pole last year in the fall race at Texas. He has one top-five and two top-10 finishes in four starts at the 1.5-mile track. His average start is 9.5 and his average finish is 11.5. In 2018, he competed in 19 races, finished 10th in the championship points and recorded career-highs in top fives (four) and top 10s (nine). In 2017, he made his NASCAR Gander Outdoors Truck Series debut at Dover International Speedway. In total, he made six starts, posting two top fives and three top 10s. Currently ninth in the NASCAR Gander Outdoors Truck Series driver championship standings. Has recorded two top-10 finishes this season – at Atlanta and Las Vegas, the other two 1.5-mile tracks the series has visited in 2019. Gilliland has made two starts at Texas – the two races in 2018. He finished sixth in the summer race before finishing fourth in the fall.